Mountain biking is in our DNA. Our backyard is a spider web of epic downhill singletrack, all-mountain, enduro and freeride descents. We wake up each day to spectacular alpine views of the Selkirk Mountains and the dirt is just so good. 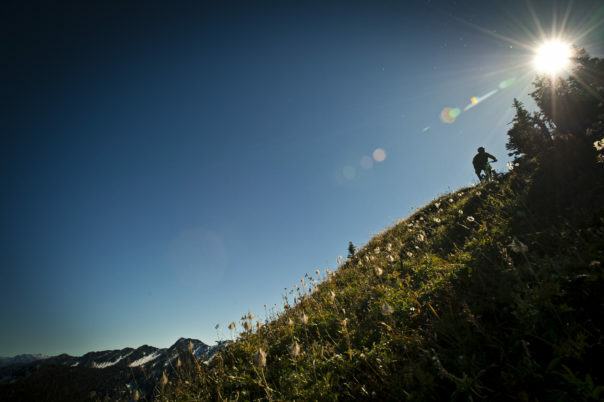 Retallack is a world leader in heli-biking and professionally guided backcountry mountain biking. 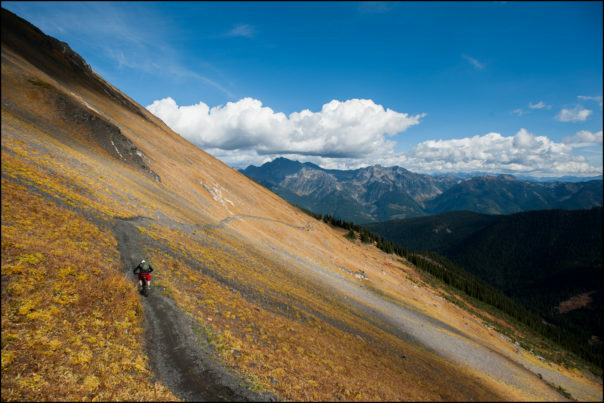 Our exclusive commercial network of downhill, enduro, and freeride trails are dispersed in the Selkirk and Purcell Mountains of the West Kootenay region of southern British Columbia. We recently obtained government authorization to expand our tenure to create the world’s largest backcountry mountain biking operating area–over 1.5 millions acres. Presently, Retallack is continuing to develop its network of trails that access additional descents of up to 6,000 vertical feet. TRIP INCLUDES: Professional guiding. 3 days of truck based shuttling and a heli drop. 3 nights accommodation at Retallack Lodge based on double or triple occupancy. Access to bike rentals, hot tub, sauna, games room, entertainment room, and massage therapist. All daily gourmet meals and après-ride hors d’oeuvres are included. Visitors to Canada / Out-of Province Medical Insurance is included for non-British Columbia residents. All Federal and Provincial Taxes are included. ARRIVAL: By 6 pm at Retallack Lodge the evening before the start of your trip. DEPARTURE: After biking on the last day of your trip. TYPE OF RIDING: Downhill singletrack / Joyride freeride trail. RIDING ABILITY: Intermediate to Expert. TRIP DOES NOT INCLUDE:Bike rentals. Alcohol purchases. Massage services. Trip or Weather Cancellation / Interruption Insurance. Transportation to and from Retallack Lodge. Gratuities. PRICE PER DAY: $625+tax per person. We require at least 4 people to run this trip. • This trip is subject to all of Retallack’s Booking Policies / Terms & Conditions. • All guests are required to sign a Release of Liability, Waiver of Claims, Assumption of Risks and Indemnity Agreement before being allowed to ride with us. By signing this document, guests will waive certain legal rights, including the right to sue. All claims – irrespective of a guest’s nationality – shall be governed in all respects by and interpreted in accordance with the laws of British Columbia, Canada. All guests must be 19 years of age or older upon signing the waiver at Retallack Lodge. • RETALLACK has no control or responsibility for the weather. • Alcohol, non-prescription drugs, and medical marijuana are not permitted while riding at RETALLACK. TRIP INCLUDES: Professional guiding. 3 days of truck based shuttling and a heli drop. 3 nights accommodation at Retallack Lodge based on double or triple occupancy. Access to bike rentals, hot tub, sauna, games room, entertainment room, and massage therapist. All daily gourmet meals and après-ride hors d’oeuvres are included. Visitors to Canada / Out-of Province Medical Insurance is included for non-British Columbia residents. All Federal and Provincial Taxes are included. For more information on the Sweet Skills Workshop click here. TRIP DOES NOT INCLUDE: Bike rentals. Alcohol purchases. Massage services. Trip or Weather Cancellation / Interruption Insurance. Transportation to and from Retallack Lodge. Gratuities. Packages include all applicable taxes and evacuation insurance. After a hearty breakfast on the first day of your trip, our professional guides will take you through a backcountry safety program. Then it’s time to board one of our comfortable vans and begin your climb up the mountain. We operate two vans for our 24 guests. Each group has their own guide, tail guide, and driver. With over 100 kms of trail to choose from, you’re sure to find plenty of fresh brown pow. Our riding program starts at 9 a.m. and the last run gets you back to Retallack Lodge, located at 3,000 feet, around 5 pm. Lunches, snacks, and hot and cold drinks are provided on the van to ensure you don’t miss out on staking your singletrack shred. You’ll normally ride 10 to 15 runs per day. Our longest run is 6,000 vertical feet—one of the longest mountain bike downhill tracks in the world. Depending on weather and the group, we offer one day of heli-accessed riding, an option that is highly customizable but absolutely worth doing. We are proud to offer our guests a full size range of Kona / SRAM equipped downhill bikes to help you maximize your riding experience. After enjoying après with hot soup and hors d’oeuvres paired with your favourite beverage, you can enjoy a hot tub, sauna, or massage before sitting down to an exquisite gourmet dinner. The best part is, after a good night’s sleep on our goose down bedecked beds, you’ll get to experience this all over again. The West Kootenays is a very mountainous region. In the summer months we experience very warm weather (it’s nice to be right on the lake!) but low-pressure systems can come in at any time. 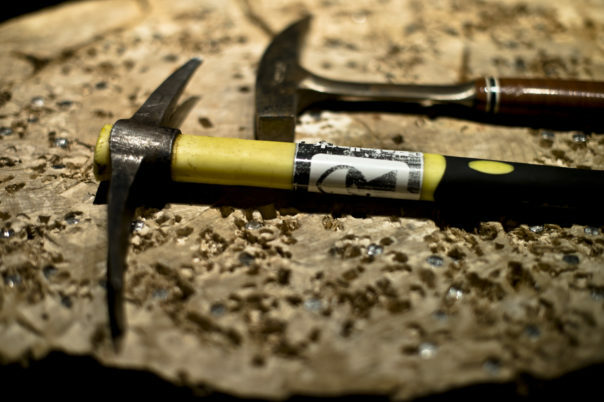 We welcome this because it keeps the trails from becoming dry and dusty. On your trip you will be riding at elevations between 2,000-to-9,000 feet. Even in mid-summer it can be quite chilly at higher elevations so we encourage you to bring along a light sweater and/or jacket in your pack. Click here for our comprehensive weather page, including current conditions and forecasts.